TV show dates: November 12, 2017 — present. Performers include: Patrick Brammall and Tim Meadows, with guest stars Mark Berry, Arturo Castro, Mackenzie Davis, Bridget Everett, Will Ferrell, Darren Gilshenan, Travis Guba, Jake Johnson, Sunita Mani, Jason Mantzoukas, Adrian Martinez, Jesse Plemons, Fred Pohl, Alex Rodriguez, Amy Sedaris, J.K. Simmons, Courtenay Taylor, Michaela Watkins, and Daniel Zolghadri. 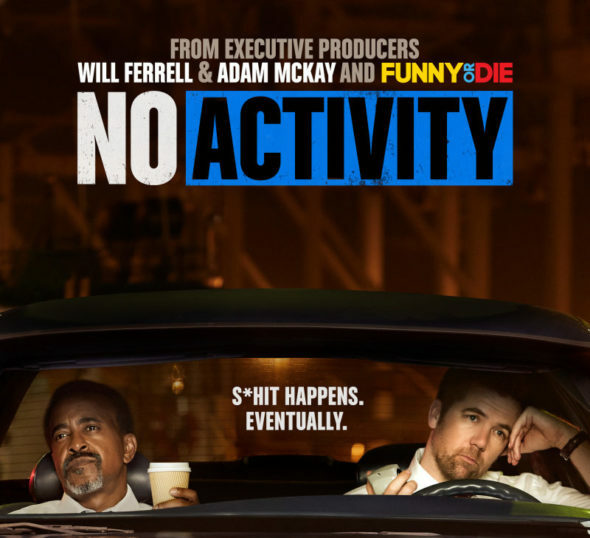 Based on the Australian series of the same name from creators Trent O’Donnell and Patrick Brammall, the No Activity TV show comes from Will Ferrell, Adam McKay, and Funny Or Die. The sitcom centers police officers on a stakeout, their dispatchers, and the criminals who are their targets. In their quest to bust a major drug cartel, two low-level cops (Brammall and Meadows), who have already spent way too much time together, find them selves yet again on hold, until something — anything — happens. A stakeout involves a lot of watching and waiting and waiting and waiting. No Activity makes no bones about sending up high-stakes sting operations. The dispatchers (Sedaris and Mani) holding down the fort at H.Q. are not really on the same wavelength and are still trying to find some common ground. Meanwhile, chiefly clueless criminals need to figure out their next move, as two Mexican tunnelers try to learn to work together in quarters too close for comfort. What do you think? Do you like the No Activity TV series? Should this CBS All Access TV show be cancelled or renewed for another season? No Activity: Is the CBS All Access TV Show Cancelled or Renewed for Season Three? No Activity on CBS All Access: Cancelled or Renewed for Season Two?